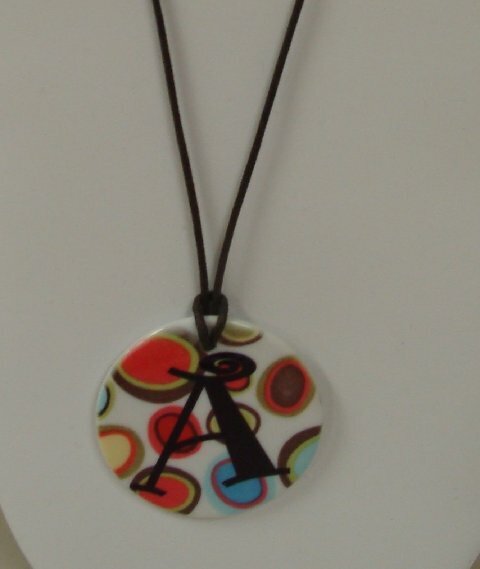 This necklace is 2.5 Round Circles porcelin necklace and personalized just for the intended. A Black satin or sheer ribbon is included in the auction. All initials are processed to be permanently affixed on the necklace. The font in this picture is Interlocking Boingo. Other fonts avaiable for personalization are Curlz, Interlocking Script, Sweetheart, Hudson, Jester, Inspire Me, Swingset, Harringtonand Boingo. Please be sure to include initial, color and font that you prefer on the necklace. FREE SHIPPING ON THIS NECKLACE!!! 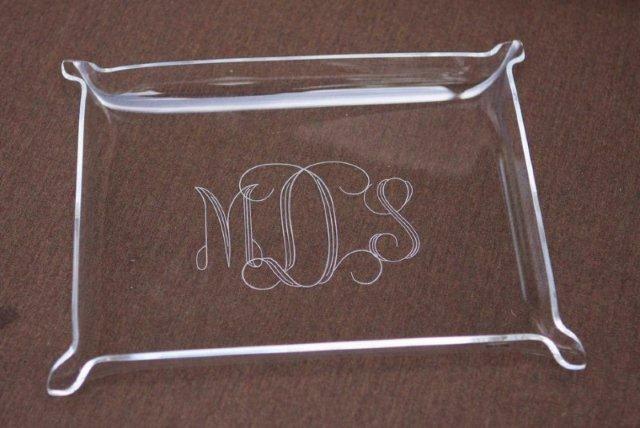 Acrylic Serving Tray w/handles - Engraved/Monogrammed/Personalized. Your bar will look fabulous with our Personalized Serving Tray decorating it! Crafted of sturdy clear acrylic, this bar tray is ideal for serving drinks or transporting appetizers. Great for parties and everyday use, this tray is durable enough to last through the years while still remaining stylish. With the ability to personalize this item for free, it is great for both giving and receiving for all special occasions. Details: Size: Measures 16 1/2" long by 10 1/2" wide by 2 inches deep. FREE SHIPPING ON THIS TRAY! Please be sure to include monogram in correct order. Example: Jane Doe Smith would be jSd. If you want your name, please provide the correct spelling and if you want just one initial, you send one initial along with the desired font. The font on this tag is Roman. Other fonts available are:, Boingo, ABC, Curlz, Hudson, Script, Park, Block and Murray. 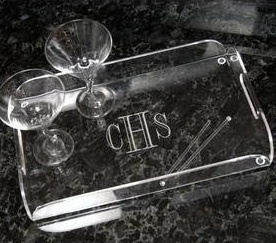 Acrylic Elegant Tray w/pinched edges- Engraved/Monogrammed/Personalized. What a practical and nice Personalized Acrylic Tray! These are perfect for indoor and outdoor use and look so great with your initials monogrammed or name inscribed. You can use it when serving food...or its perfect as a catch-all tray for little things in your home - Keys, wallets, office supplies, anything you need to contain. These are best to be hand washed with mild soap and warm or cool water. Do not put hot items on this as it could melt. Tray size is about 8.5"x10". *For personalization - please enter the initials in the exact order to APPEAR.